World War II was more than a historical event; it was a deeply personal, emotional experience for all who lived through it overseas and at home. 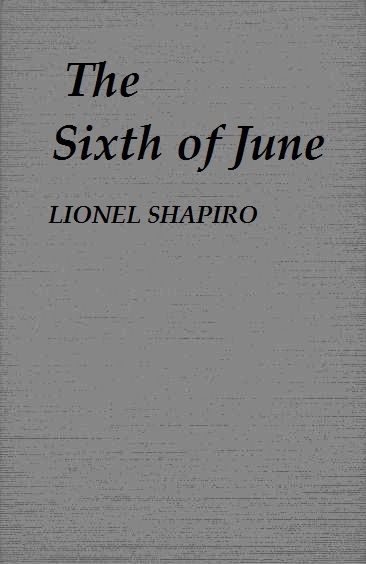 This novel whirls the reader back to that time and that experience-to the fevered years in America, to blitz-torn London, to the beauty, love, and mounting terror that marked the progression of the war to its magnificent climax, the D-day assault on THE SIXTH OF JUNE. It tells the story of Brad Parker, heir apparent to a Connecticut newspaper empire, who went overseas owing his loyalty and his love to his wife, Jane. It tells the story, too, of Valerie Russell-beautiful, compassionate, ware-weary—who owed her loyalty to a brave Englishman. Brad and Valerie feel deeply, helplessly in love. In sight of each other their primary loyalties fell away. But certain as they were of their love—and that it could overcome every obstacle, every loyalty-they reckoned without the emotional miracle the took place on THE SIXTH OF JUNE. Epub 20170129.epub If you cannot open a .mobi file on your mobile device, please use .epub with an appropriate eReader. Mobi/Kindle 20170129.mobi Not all Kindles or Kindle apps open all .mobi files.